In China, temporary agency workers often receive as little as half the pay and none of the benefits enjoyed by their ‘regular’ counterparts, which has resulted in high-profile struggles across sectors. This essay examines their recent collective actions in the automotive industry, pointing to the challenges and potentials for future labor activism in contemporary China. In recent years, there has been rising activism among temporary agency workers in China— workers who are hired through labor agencies and are now a main component of the Chinese workforce across sectors. Several high-profile struggles by agency workers in the automotive industry have highlighted their grievances and their ability to mobilize. This includes collective actions from workers at FAW-Volkswagen (FAW-VW), Guangzhou Ai Paike Auto Parts Co., Ltd (APAC), and Guangzhou NHK Spring Precision Co., Ltd (NHK) for equal pay and unpaid benefits. What is the nature of their grievances and the extent of their bargaining power? What strategies do agency workers use to protest and to make their claims to employers? What are the trends and implications of agency workers’ struggles for labor relations and worker activism in today’s China? Here, we’ll address these questions by taking a close look at the recent struggles by agency workers in the automotive industry. The growth of precarious work has become a significant global trend over the last few decades. One of the fastest growing forms of precarious work in many countries has been temporary agency work (TAW), better known as labor dispatch, or laowu paiqian, in the Chinese context. The core feature of TAW is a triangular structure that separates employment from the actual use of labor: a temporary agency worker is employed by a temporary staffing agency (TSA), and then dispatched to work at the user company. TAW has attracted much scrutiny, as it challenges the conventional definition of employment relationships and complicates the legal and financial obligations employers have to their employees. In China, the dramatic rise of labor dispatch since the late 1990s has had far-reaching consequences for Chinese workers and labor relations. Although China does not provide official statistics on labor dispatch, according to a survey conducted by the All-China Federation of Trade Unions (ACFTU), the country’s agency workers reached 37 million in 2011, accounting for 13.1 percent of the total actively employed population. Moreover, instead of being confined to temporary, auxiliary, or substitute positions, agency workers are increasingly being used in permanent positions or on a long-term basis in a wide range of industries. In fact, 39.5 percent of surveyed agency workers had worked for the same client firms for more than six years. In particular, state-owned enterprises (SOEs) had the highest percentage of agency workers, accounting for 16.2 percent of their total workforce (ACFTU 2012). Agency workers have been subjected to discriminatory treatment at work, including lower pay, fewer benefits, harsher disciplinary action, and lack of job security and advancement opportunities compared to regular employees at the client firms. The ambiguous triangular employment relationship, combined with the lack of regulation, has led to rampant violations of workers’ rights. It was against this backdrop that China’s 2008 Labor Contract Law (LCL) devoted 12 articles to the regulation of labor dispatch. However, the lack of specific, enforceable measures, led to an explosive growth of agency workers since the law was passed. In 2013, it was amended to close the loophole and address the rampant use of labor dispatch, requiring companies in China to reduce the use of agency workers to 10 percent of their total employees by March 2016. Faced with stricter regulations, many employers responded by laying off agency workers or continuing to use labor dispatch under the guise of outsourcing or subcontracting to bypass the 10 percent limit. To defend their employment and legal rights, temporary agency workers across a range of industries have been protesting, petitioning, and filing lawsuits against layoffs and unequal treatment at work. The year-long struggles by FAW-VW agency workers for “equal pay for equal work” highlight the plight of agency workers and their determination to defend their legal rights. The use of temporary agency workers has proliferated throughout the automotive industry since the mid-2000s, along with the restructuring and rapid expansion of the industry. 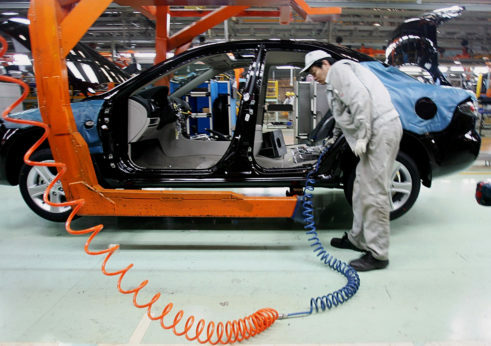 There were around 3,500 agency workers at the FAW-VW Changchun plant as of 2016, and many of them had been working at the company for more than 10 years in skilled core production positions. Despite doing the same work as regular workers, the agency workers were only paid half as much and did not enjoy the same benefits. 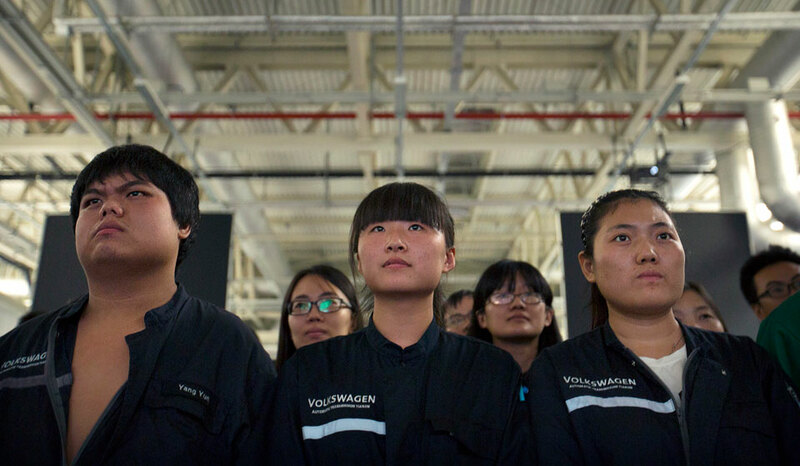 Emboldened by the new regulation, in November 2016 several thousand temporary agency workers in FAW-VW’s Changchun plant began their struggle for equal pay for equal work, when the two-year transitional period for compliance with the new 10 percent rule expired and their employer had still not made the legally required adjustments to limit the use of agency labor. The agency workers at FAW-VW demonstrated tremendous determination, persistence, and unity throughout their struggles. They first filed a complaint with the ACFTU, demanding compensation for years of unequal pay and the signing of formal employment contracts with FAW-VW. The workers then elected three representatives, alongside trade union officials, and engaged in collective bargaining with the management of FAW-VW and their labor agencies between December 2016 and January 2017. After several failed collective bargaining sessions, the workers filed a collective dispute case with the Changchun labor dispute arbitration committee, and later brought FAW-VW to court. After the court rejected their case, the agency workers organized several demonstrations between February and May in 2017. However, their protests were met with police harassment. In May 2017, the three worker representatives, Fu Tianbo, Wang Shuai, and Ai Zhenyu, were arrested for ‘gathering crowds to disrupt public order’—an accusation commonly used by local governments to quell labor and social unrest. While Wang and Ai were released, Fu has remained in custody and was officially charged in early June 2017. The agency workers continued their struggles for equal pay and for the release of Fu Tianbo from prison. In July and August 2017, they issued public letters to the Volkswagen Group and Volkswagen’s works council in Germany, asking for their intervention in the legal violations in the Changchun plants and for the release of Fu. However, VW decided not to intervene. Also that August, they wrote a jointly signed letter to the local Public Security Bureau demanding the unconditional release of Fu. At the same time, management and the local government took various measures to break up the agency workers’ protest: the workers’ posts on social media were blocked and management cooperated with the police to criminalize the worker representatives. In addition, in April 2017 FAW-VW made a concession by announcing 2,400 new regular jobs for its agency workers who had worked at the company for more than 10 years. However, only 500 positions were to be located in Changchun. Moreover, if the agency workers accepted the new contract, they would have to give up their demand for compensation for years of unequal pay. About 1,500 agency workers took the offer. Although not all of the workers who signed the new contract gave up their demands for back pay, they basically withdrew from the protest. In December 2017, FAW-VW launched a second round of recruitment and offered all the remaining agency workers in the Changchun plant five-year regular contracts, on the condition that the agency workers would give up their claims on all the remuneration issues. Workers who would not sign the new contracts would be terminated and sent back to the labor agencies. The workers were only given one day to accept the new offer. It was clearly a management strategy to quell the agency workers’ protest. Under this pressure, all but five agency workers eventually signed the contract. The five workers who did not give up were dismissed by FAW-VW at the end of 2017. They included worker representatives Fu Tianbo and Ai Zhenyu, who said the contract was illegal. As of writing, the agency workers have not achieved their demands for open-ended contracts and compensation for the unequal pay since 2008. It is fair to say, however, that the agency workers’ tenacious struggle was one of the main reasons for the FAW-VW decision to stop using labor dispatch in the Changchun plant at the end of last year. It is also important to point out that the agency workers involved in the struggles at FAW-VW tend to have more workplace and marketplace bargaining power than in other sectors. For one, FAW-VW and other automakers have been rapidly expanding production capacity alongside the construction of new manufacturing facilities across China in recent years. These new plants require a large number of workers, especially skilled and well-trained ones like this group of temporary agency workers who already had ten years of experience working at the company. Meanwhile, FAW-VW started using more outsourced workers on production lines to increase staff flexibility shortly after it stopped using agency workers. Yet, it did not take long for the outsourced workers to begin their protest against unequal treatment as well. 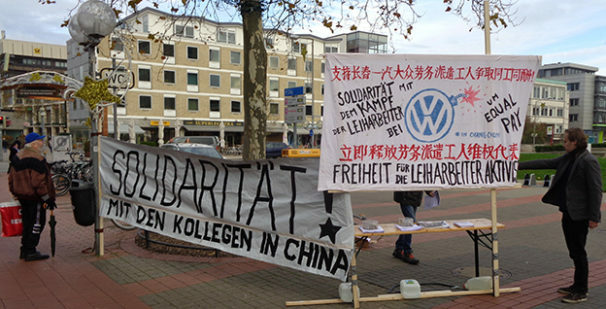 According to my interviews conducted at the FAW-VW Changchun plants in June 2018, over 400 outsourced workers have been involved in struggles against unequal pay and the illegal practice of “fake outsourcing, real dispatching” at FAW-VW since early 2018. 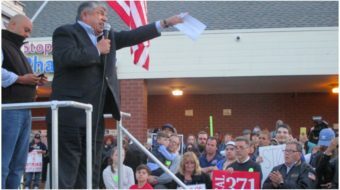 As many employers resort to outsourced and subcontracted workers to evade the 10 percent limit on the use of dispatch labor, a growing number of outsourced/subcontracted workers have joined agency workers to demand equal pay, the signing of regular contracts, and mandatory insurance payments and public housing funds in back pay. This has been demonstrated by the ongoing struggles at the auto parts companies such as APAC and NHK in Guangzhou. On the one hand, agency workers have deep grievances after being subjected to years of unequal and substandard treatment, and they have become increasingly restive and emboldened by the stricter regulations on labor dispatch. 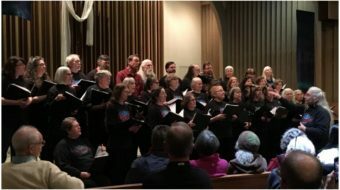 They have demonstrated great determination, persistence, and unity in their struggles for equal pay, regular contracts, and mandatory insurance payment and public housing funds required by the laws. On the other hand, it has proven extremely difficult for agency workers to defend their legitimate rights through formal legal channels, given the power asymmetry between workers and employers, and the fact that local authorities often side disproportionally with employers in labor disputes. Furthermore, the government has moved towards tightened political and ideological control and an increasingly repressive approach to worker activism. Strikes are often treated as “social stability maintenance” (wei wen) incidents, the police are frequently called in, and criminal charges are filed against striking workers, rights lawyers, and labor activists. In addition, central leaders have taken steps to curb increases in the minimum wage and cut social security burdens on companies. A recent government-led consultation on revising the LCL to improve “labor market flexibility” and to roll back some job-security protections for workers is widely seen as a harbinger of more business-friendly policies to keep companies afloat as China’s growth continues to slow. Thus, it is likely to become even harder for agency and outsourced workers to defend their rights through official legal channels. Still, recent battles partially won by the agency workers at NHK and other auto parts companies in Guangzhou suggest there is potential for this group of workers to successfully bargain for their rights. Considering the sheer scale and far-reaching consequences of labor dispatch for the employment terms and conditions of millions of Chinese workers, further research into the strategies and tactics of agency workers’ struggles in different industries and regions is essential to understanding the current and future trends of labor relations and worker activism in China today. 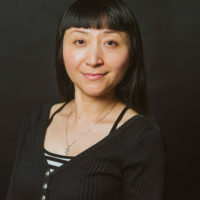 Zhang Lu is assistant professor of sociology at Temple University and was originally a Chinese national. She is author of the book, Inside China’s Automobile Factories: The Politics of Labor and Worker Resistance. She spent 20 months between 2004 and 2011 doing research in seven large auto assembly plants (state-owned and joint ventures), in six cities, interviewing workers (as well as managers) on the shop floor. This is a slightly abridged version of an article that first appeared in the journal, Made in China. Zhang Lu is assistant professor of sociology at Temple University and was originally a Chinese national. She is author of the book, Inside China’s Automobile Factories: The Politics of Labor and Worker Resistance. She spent 20 months between 2004 and 2011 doing research in seven large auto assembly plants (state-owned and joint ventures), in six cities, interviewing workers (as well as managers) on the shop floor.